Revelation 14:1-5 CEV I looked and saw the Lamb standing on Mount Zion! With him were a hundred forty-four thousand, who had his name and his Father’s name written on their foreheads. (2) Then I heard a sound from heaven that was like a roaring flood or loud thunder or even like the music of harps. (3) And a new song was being sung in front of God’s throne and in front of the four living creatures and the elders. No one could learn that song, except the one hundred forty-four thousand who had been rescued from the earth. (4) All of these are pure virgins, and they follow the Lamb wherever he leads. They have been rescued to be presented to God and the Lamb as the most precious people on earth. (5) They never tell lies, and they are innocent. Sometimes I like to work from the assumption that I just stumbled onto this portion of the bible. Besides, if you attend church then you know that you constantly sit by those that never open their bibles. Assuming you were that person and were directed here, how you come to understand what you were reading? Revelation 14:1 ESV Then I looked, and behold, on Mount Zion stood the Lamb, and with him 144,000 who had his name and his Father’s name written on their foreheads. I do not think I would have any idea how to interpret this. I am going take several quotes from The IVP Bible Background Commentary, and see if they help explain anything. Rev_14:1. “And I looked, and behold” indicates another vision”. Now they reference (Ezekiel 10:1; Ezekiel 44:4; Daniel 10:5), I suppose in hopes of backing up their argument. If I only look at Ezekiel 10:1, I feel completely lost. Ezekiel 10:1 ESV Then I looked, and behold, on the expanse that was over the heads of the cherubim there appeared above them something like a sapphire, in appearance like a throne. So all they are doing here is pointing out the similarity of the phrase “Then I looked, and behold.” How does this prove that at some moment in time John has had another vision in which he is now seeing the 144,000 standing on Mount Zion with the Lamb. Let’s look at the other verse they gave and see where they go. Ezekiel 44:4 ESV Then he brought me by way of the north gate to the front of the temple, and I looked, and behold, the glory of the LORD filled the temple of the LORD. And I fell on my face. Just another example of the phrase “then I looked and behold,” again. Since that was a flop let’s try a different approach. 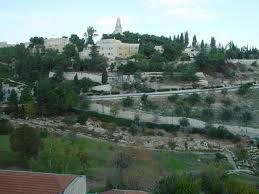 I want to spend a few minutes looking at example of Mount Zion since that is an aspect of the 144,000. This may mean nothing to you but I find several things grabbing my attention. Knowing that Jerusalem will be destroyed, I see a remnant coming out of Jerusalem, and out of Mount Zion a band of survivors. While this says nothing about the 144,000 who are standing on Mount Zion the following verse indicates what happens after the Lamb conducts business. Isaiah 10:12 ESV When the Lord has finished all his work on Mount Zion and on Jerusalem, he will punish the speech of the arrogant heart of the king of Assyria and the boastful look in his eyes. Apparently his interactions with the 144,000 come before he finalizes the punishment of the arrogant king. What else can I know about these 144,000. We found them originally in Revelation chapter seven. Should you decide to read this in your bible, you will find that specifics go on to verse eight, and describes 12,000 taken from designated ancestral groupings (tribes) of Israel. How vital that is to our understanding I do not know. I have come to see that my former pastor was not alone in his thinking, as many apparently think these 144,000 are merely symbolic. I actually think he is a fairly intelligent guy, but if you cannot prove your statement with some solid evidence then you need to shut up, and he did not. Having read several commentaries on the 144,000 I believe I can see where he got what he said. That does not make it right, and if you are a student of the bible, you can find it very annoying. Here is what the IVPBBC, and a couple of others imply: The Sealing of 144,000 Servants – One can take the 144,000 either consistently literally (literally twelve thousand male Jewish virgins from each tribe—Rev_14:4) or consistently symbolically (the spiritual people of God, not literally 144,000). (Those who take the number but not the ethnicity, gender and sexual history literally are inconsistent.) Against taking it literally is Revelation’s usage elsewhere of “servants” (Rev_1:1; Rev_6:11), suggesting that they constitute the whole of the saved community (Rev_7:3-4). But whether they represent the innumerable multitude of Rev_7:9 or the restored remnant of ethnic Israel remains debated. And this is why I left a church after several weeks of Revelation teachings that emphasized that the 144,000 represented the whole of the saved community (raptured believers I assume). It also seemed that pastor turned virtually everything into something symbolic. No doubt the Revelation is awash in symbolism, but some of these aspects as real as rocks. In my opinion, these 144,000 will be Jewish men, handpicked by God to testify to Jews. Chapter four speaks of the churches, and then ends with – after these things. It is only logical to assume that the things are indicative of the church age on earth. Chapter five presents the Lamb who is worthy. These are released with the express purpose of destroying the earth. And yet, just prior to this destruction, God intentionally seals 144,000 Jewish men – virgins, so that they will not be harmed. 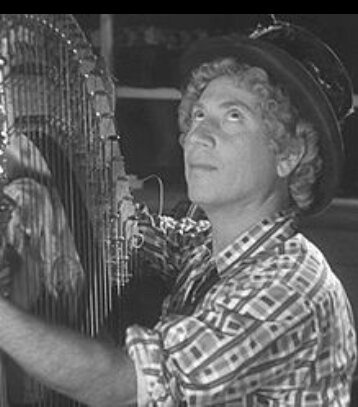 Harpo Marx, I just had to do it. Revelation 14:3-4 MSG and the harpists singing a new song before the Throne and the Four Animals and the Elders. Only the Hundred and Forty-four Thousand could learn to sing the song. They were bought from earth, (4) lived without compromise, virgin-fresh before God. Wherever the Lamb went, they followed. They were bought from humankind, firstfruits of the harvest for God and the Lamb. How do I relate to that? We were all born into a corrupted nature, therefore it seems impossible to imagine someone living without compromise. John had come to learn that such people existed. Zephaniah 3:13 KJV The remnant of Israel shall not do iniquity, nor speak lies; neither shall a deceitful tongue be found in their mouth: for they shall feed and lie down, and none shall make them afraid. If you try to assign the characteristics of these chosen Jews to the church, it simply does not fit because they have too many human characteristics, therefore I will cling hard to a literal interpretation of the 144,000; thank you. Since I know four angels are about to tear the earth up, and God has sealed these Jewish servants, then it is a logical assumption that they must go through the years of wrath along all those who will not worship (We are told that those who do not bow are those whose name is written in the book of life.) I am going to throw in this passage in Revelation 13 to show that the Father already knows those who written in the book of life. One of the things I tell people, is that John fully intended for his writing to strike the ears of Jewish converts. You can pick up on this idea because he uses terminology and symbolism that is found throughout the law and the prophets, books any Jew serious about his religion would have been compelled to memorize, primarily through audible methods alone. An example is found in the Prophet Ezekiel’s writings where judgment could not begin until the foreheads of the righteous (those who mourned over the sin of their land) were marked. Ezekiel 9:4-5 ESV And the LORD said to him, “Pass through the city, through Jerusalem, and put a mark on the foreheads of the men who sigh and groan over all the abominations that are committed in it.” (5) And to the others he said in my hearing, “Pass through the city after him, and strike. Your eye shall not spare, and you shall show no pity. The imagery is already well entrenched in the Jewish mind. It is a shame that it is not in ours. This entry was posted in End times, Prophetic, Thoughts on scripture and tagged Book of Revelation, Christ, end times, God, Jews, last days, Marked by God, Mount Zion, prophecy, Revelation, Satan, sealed on their foreheads, the 144000. Bookmark the permalink.